What is it they say? 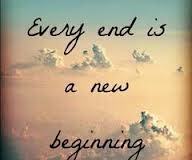 “With every beginning, there comes an end” or “with every ending comes a new beginning.” Just like I mentioned in a previous post “everything happens for a reason” or “it is what it is” I have to say that this so called all good things must come to an end also has to be true? Or is it? How do we know when things are coming to end then? What are the signs? Does this also apply to our relationships, education, career, etc.? Or is this saying just the cycle of life and products? Over the last week and if not the entire year, I have been asking myself this and many similar questions. Why? Well over the last year, I have started to pay greater attention to detail and the shelf life of many things including that of my relationships, career objectives, milk, groceries, vehicle, etc. Why if this saying isn’t true, do most things we purchase and consume have an expiatory date? It seems that YES, most things (if not all) have a beginning and an end? Or all good things must come to an end? So how do we determine what exactly the beginning and/or end is? The obvious is we are born and then we die… YES? How about relationships or your career? If you are young or old you have probably noticed that, most relationships and your job, regardless of how you meet or the job you’re in all have trends. These trends usually go something like this… awesome beginning (honeymoon), an okay middle (comfort zone), and really bad endings (the dreaded unknown). In my life and regardless of whether in a relationship or career these trends seem to always go the same way but unlike the cycle of life (ending in death), I am still alive, kicking, and in the end have come out the other side as better person. I am a better father, a better man with the woman I love, and I am a better man in the job I am in. Does this then mean that we all should embrace change, new beginnings, and endings to things? Or is it just me? Do we need to give more chances to others, our partners, and career paths fostering and/or focusing more on the middle stage(s)? Let’s face it, the beginning of anything is downright scary just like my kid changing schools this year. On the flipside, the end is just as scary if not more! Starting something new or letting go of something you care about is extremely hard whether it is a relationship or your career. However, what I have learned over the years (especially raising my son, in relationships, and jobs) is that both beginnings and endings are a necessity of life, just as we are born and we die. In order for us to remain active, happy, and healthy, we must allow ourselves the opportunity for new beginnings in our relationships and jobs, just like we must allow ourselves the opportunity for endings, so we can create more beginnings. This my friends is what we must do because if nothing ever came to an end, nothing could ever begin. Without scary endings and new beginnings, I wouldn’t be the same person I am now just like I know you are. In fact, I couldn’t be happier at how things have turned out in my life with my son, my relationship, and career. Although I can’t say for sure how long I will be in this NEW middle part of my life (hopefully until I die), I can honestly say… For every ending, there is an even greater beginning. 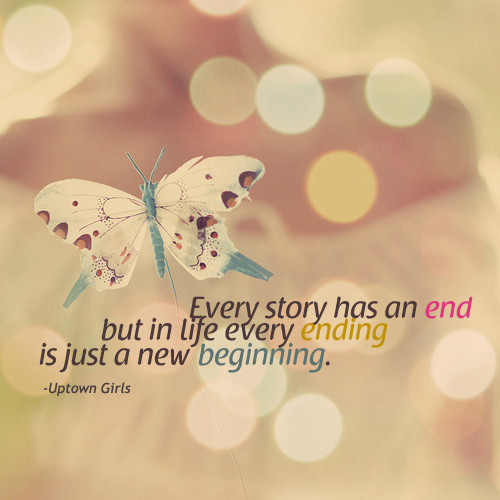 Don’t be afraid of endings and surely don’t let yourself be afraid of new beginnings. Thoughts? If you have any, please feel free to leave your comments here, reach out to me online or in person, and/or through any of my other online mediums. Until next time my friends keep smiling, embrace those you’re with, do away with things stressing you out, and for heaven’s sake create some new beginnings already. This entry was posted in Business consulting advice, Business development, Florida dads, How to be a better parent, Parental motivation, Personal branding, Self-development and tagged Business, Business Development, children relationships, family, family life, inspiration, life, motivation, parental encouragement, Parenting, relationship building, Relationships, Single Dad, Single Parents by ddandaneau. Bookmark the permalink.